Glass doors are the perfect modern addition to any house. They are chic, stylish and can match almost any theme you have, or want, for your home. However, picking the perfect decorative glass door for your house can not only be quite difficult, but time-consuming as well. With a plethora of beautiful options and decorative designs for your glass doors to choose from, narrowing down the ones you love the most can be a challenge. 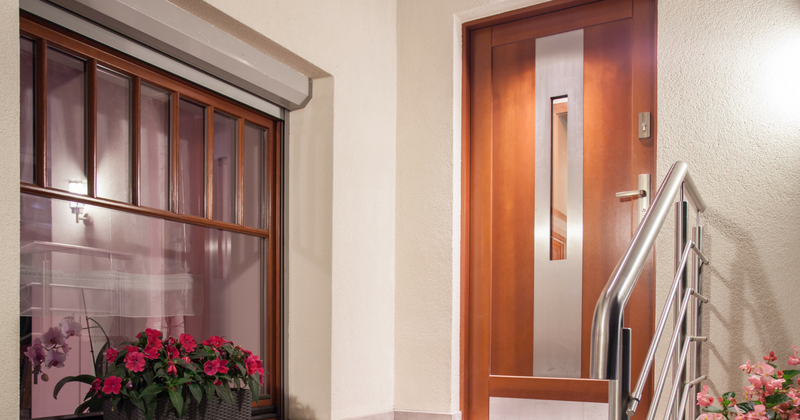 Thankfully, we have chosen some of the best decorative glass door designs for you. Read on to see our top picks and peruse the ones you feel would best suit your home. If you’re looking for a glass door that isn’t too complicated or fancy, this Brentwood Bright Zinc/Patina Doorlite design is perfect for your home. This beautiful design combines bright zinc along with patina for an aesthetically pleasing, but simple look. Its glass privacy rating is a 8 out of 10, assuring far more privacy than a completely clear glass-designed door. If a simplistic-yet-private look is what you’re aiming to achieve with your glass door, then this is the one for you. Another wonderfully simple glass door design is the Abeerdeen glass door design. Designed and created with bright zinc, the simplistic and subtle pattern of Aberdeen invites some light to cascade through its effortless linear design. Its glass privacy rating is a 9 out of 10, allowing you complete and total privacy, something you won’t ever have to worry about with Aberdeen. For those seeking a glass door design that is more intricate and detailed, the Priscilla glass door design part of the rustic series should be right up your alley. Its glass privacy rating is a 9 out of 10, so not only is it convenient in privacy, but also in beauty and sleekness. The wrought iron design makes for a stunning and elaborate look that will complete any home. Another design to take into consideration is the Castile Patina Doorlite design. The glass is mostly private, with a privacy level of 8 out of 10. This design is as tasteful as it is elaborate. If you’re looking for a lovely glass door design while still maintaining ultimate privacy, you will definitely want to check out the Spring Patina Doorlite. Not only is it completely private, but the design is beautiful and guaranteed to fit any home. Another gorgeous, private option is this Camelia glass door design. Its glass privacy rating is a 9 out of 10, absolutely ensuring you peace of mind with any privacy concerns you may have. The glass design tied along with wrought iron will make it one of your favorite aspects of your home. No matter the design you want for your house, always make sure you are making safety a priority. At ASP Windows and Doors, we specialize in protection and impact-proofing your home, especially any glass elements you may have. Contact us at (844) 311-7767 today to see how we can prepare your home from storms and other outside elements.